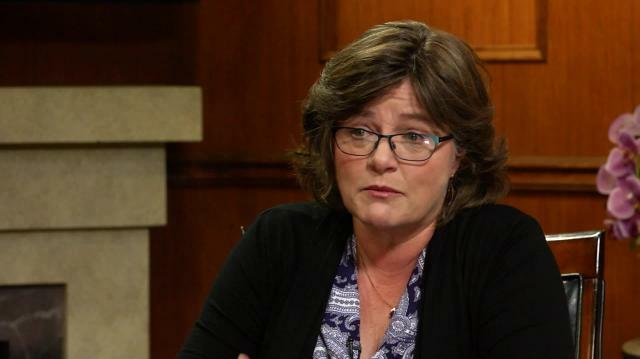 In her final TV interview as a USGS seismologist, Dr. Lucy Jones – the "Beyonce of earthquakes" – explains why the West Coast is overdue for the Big One, the connection between fracking and quakes, & why earthquakes are more than a California problem. Plus, what's next for the beloved scientist. “I would like to see us build buildings to be used and not just to crawl out alive because after we crawl out alive, what’s the city going to be like when there’s no building to go to work in? How many people will stay when there’s no place to live, they can’t go to work, and they haven’t had a shower in a month because we broke the water pipes. So we need to have buildings that you can use afterwards, we need to have utilities that can get out quickly, and that means we have to accept the reality that this is in front us and that the damage to our economy, when people give up and leave the area, is so significant, it’s worth the investment now.” — Dr Lucy Jones on wanting to reform the building code and the investments we need to be making. “We know it’s inevitable, but it’s really a random distribution…We have a rate. There’s a magnitude five a couple times a year in California. A six at least every five years or so. Most of them are in places where there’s not too many people. But in the long run, the magnitude seven’s actually average about once every twenty years somewhere in California.” — Dr. Lucy Jones on if she knows when the next earthquake is coming. “Going under a table is by far the safest thing. Your biggest risk is the objects being thrown around the room and the table protects you from that. In the unlikely case that you’re in a building that actually collapses, we’ve seen big concrete floors held up by quite weak tables. They really do a lot of good. I have a famous picture out of Mexico City. Little school desks holding up big concrete slabs…A table is a very sturdy structure and if you got a table nearby--You notice what we actually say is “Drop, cover, hold on.’ First thing to do is get to the ground before the earthquake throws you there. We see thousands of preventable injuries from people being thrown to the ground. Then you try to get under cover if it’s nearby, but it’s not worth going very far to do it. Getting down and keeping yourself small is important and then hold on. If you got something that’ll keep you covered, you don’t want it sliding away from you.” — Dr. Lucy Jones on the best thing to do during an earthquake. “The worst type of buildings in earthquakes are what are called unreinforced masonry. Brick buildings where the brick wall is holding up the roof. In California, about half of the cities have mandatory programs to retrofit those buildings. Half don’t and we are still seeing people die even in California in those types of buildings.” — Dr. Lucy Jones on the worst type of buildings to be in during an earthquake. “Yes it does, but it’s not quite what people expect. What sets off earthquakes is increasing the pressure of the fluids in the rock. Basically if there’s a lot of pressure in that rock, it takes up the stress that would otherwise be clamping the fault in place and it allows it to move more easily. We are seeing it wherever we build big reservoirs and when we pump water into the ground. And what’s most obvious right now is that connected fracking. The fracking itself doesn’t seem to be setting off much of any earthquake activity but it creates waste water. They need to dispose of it, so they pump it deep into the earth. And remember, earthquakes happen deep in the earth, so we are seeing earthquakes set off. Oklahoma had more earthquakes than California.” — Dr Lucy Jones on how and what specific human activity can contribute to earthquake activity.